America’s finest silver is displayed in all its glory with the 2002 American Eagle Silver Dollar. Every year savvy buyers stash these away. 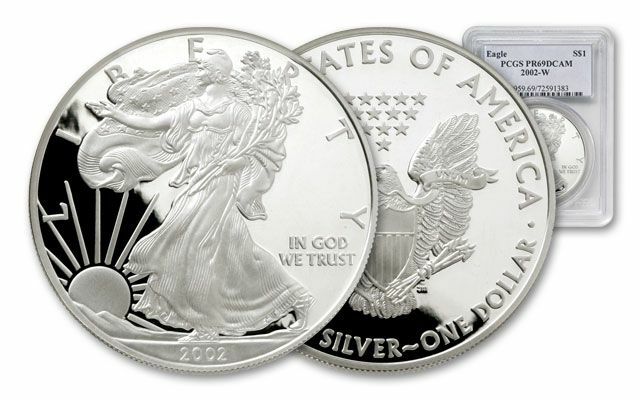 Each is struck in one ounce of 99.9% fine silver and graded in near flawless Proof-69 condition. 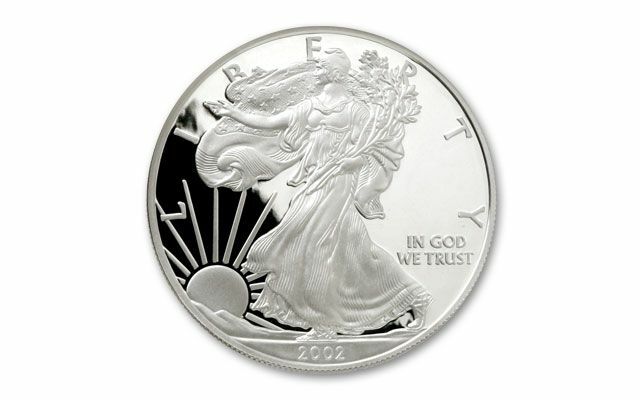 The 2002 Silver Eagle marked the 16th year that American Silver Eagles had been available through the U.S. Mint. For the first time in the history of the program, mintages of Silver Eagle bullion coins temporarily topped 10 million. In addition to the 2002 Silver Eagle bullion coin, the U.S. Mint also offered the 2002 Proof Silver Eagle, a beautiful coin with a highly reflective background field and softly frosted raised contours. 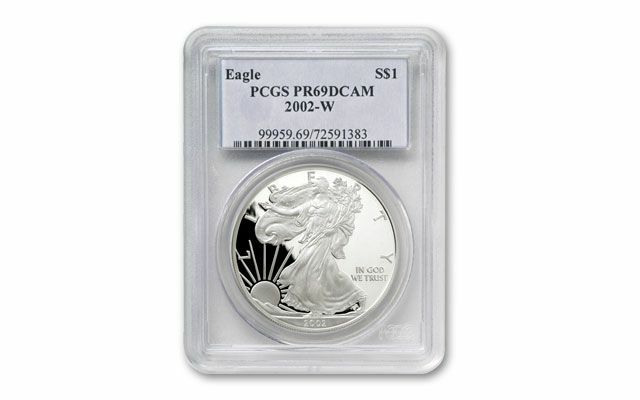 The 2002 Proof Silver Eagle was minted at West Point and carries the "W" mint mark. American Silver Eagle coins were established through an Act of Congress as a way for investors to add a small amount of precious metal to their portfolios. 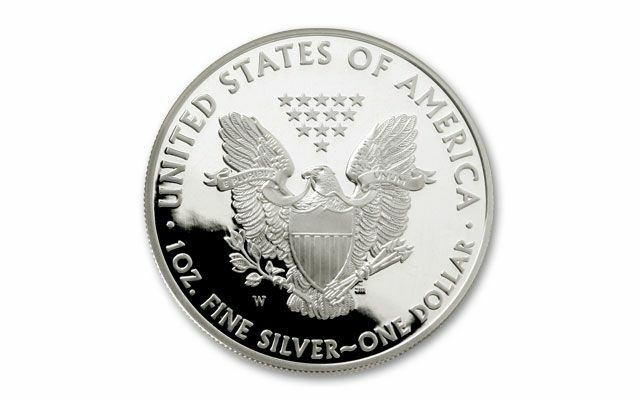 Silver American Eagles are the only silver bullion coin guaranteed by the U.S. Government for content, weight and purity. And unlike other silver coins, they are non-reportable, offering you the highest measure of privacy, safety and security. The 2002 Silver Eagle bullion coin was never sold to the general public by the U.S. Mint but we can help you acquire the Silver Eagles you're looking for. Why not add a 2002 Silver Eagle to your collection? The overall average price of silver during 2002 was $4.60 per ounce.